PHUKET: Three Russian tourists were rescued from heavy seas overnight and one was safely recovered five miles off Racha Noi Island early this morning after the group were separated by strong currents during a snorkelling and spearfishing trip south of Phuket yesterday afternoon (Mar 2). 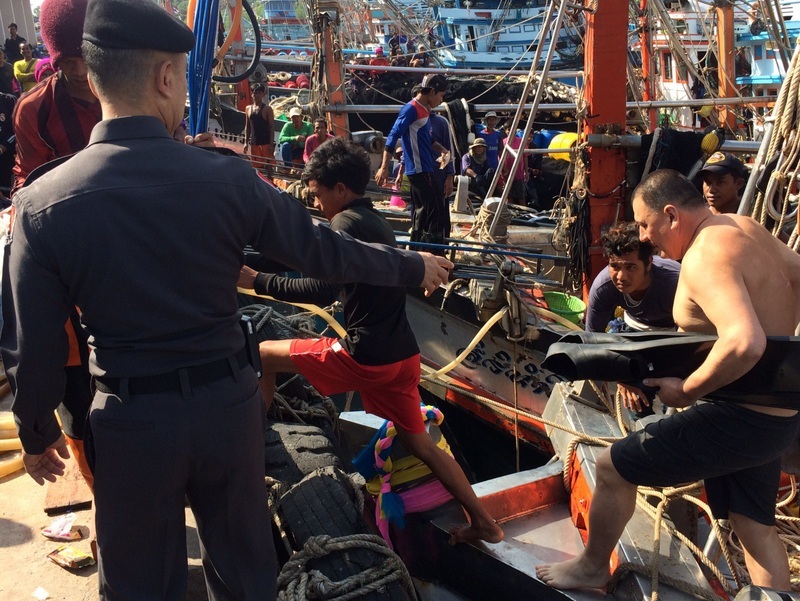 Speedboat captain Ritthiron Saliga of Rawai, Phuket, raised the alarm after the Russians failed to arrive at the arranged pickup point. “They hired my speedboat yesterday morning and I dropped them off near Racha Noi Island,” Capt Ritthiron explained. “I warned them about the weather, and when they didn’t turn up at the location we had arranged for them to get back onboard the boat, I called for other boats in the area to search for them,” he said. 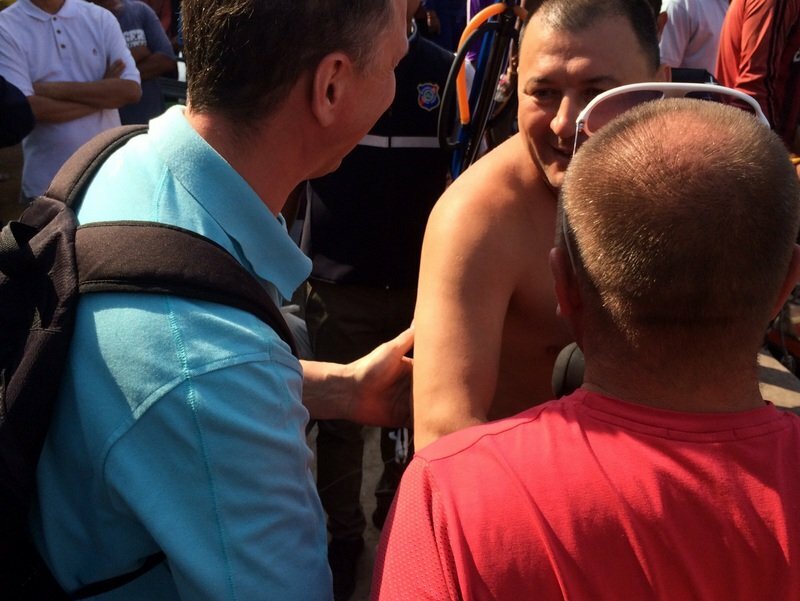 A local fishing boat rescued Mr Larichev and on of his friends and returned them to Capt Ritthiron and his speedboat. Capt Ritthiron continued his search and found one more of the group, but with Dmitrii Somov, 40, still missing, he called the Marine Police and Royal Thai Navy for help. 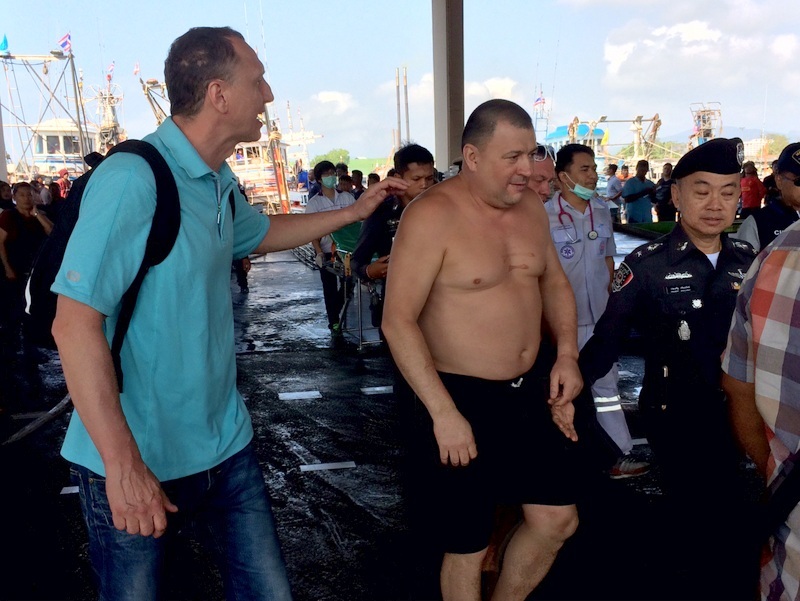 The three Russians now safe were brought back to Phuket, arriving at Chalong Pier at 10pm, when they were taken to Chalong Police Station reported the incident to Lt Sakrin Seangthong. Col Nareuwat Putthawiro of the Phuket Tourist Police was also notified directly by Mr Larichev via the 1155 hotline. 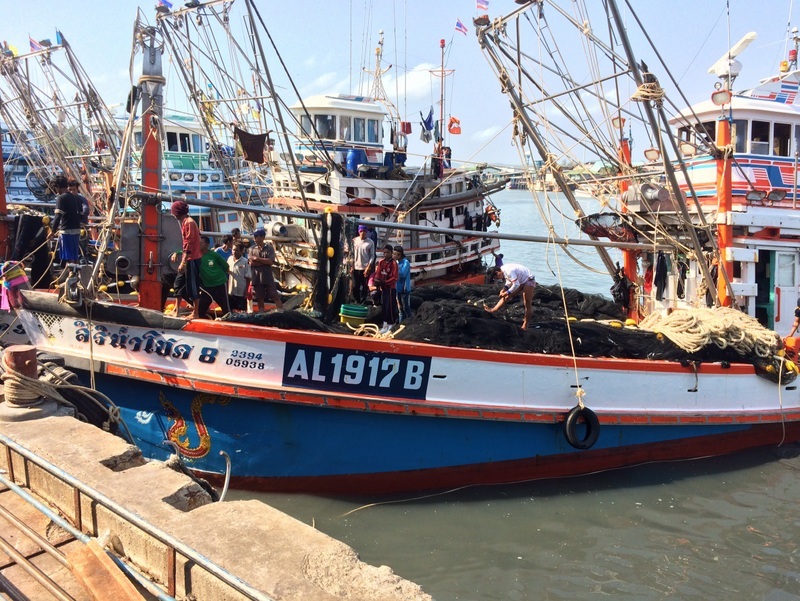 The search continued through the night, with the fishing boat Siri Nam Chok 8 finally reporting that Mr Somov had been rescued from the water five nautical miles southwest of Racha Noi Island. The Royal Thai Navy reported they received the report at 1:50am and that all four Russian tourists were now safe. 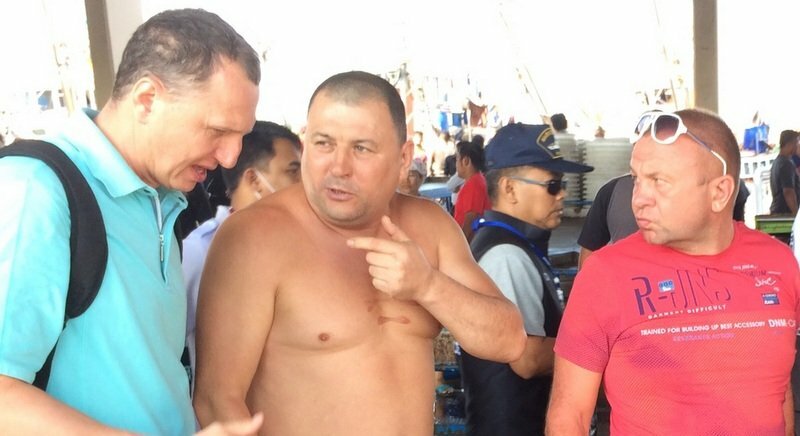 Mr Somov, 48, was returned safely to Phuket at Rung Siam Pier in Rassada this morning. “Thank you to Mr Prayong and the fishing boat (Siri Nam Chok 8) and everyone else for rescuing me and taking care of me and for bringing me safely back to land,” Mr Somov said. Additional reporting by Tanyaluk Sakoot . Looking at the pictures, its looks like they are the same guys who came to buy 10kg of lead at our dive center. When I asked them what they were planning with, they said me to snorkeling and skin diving but as I did not trust their answers, I warmed them not to go spearfishing especially at Racha Islands where they may get in conflict with local authorities and dive operators. Good job they weren\'t feeding the fish and only killing them or there would be a hefty fine to pay!